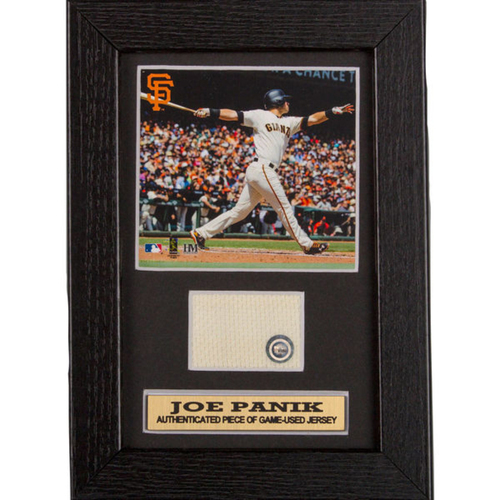 This 5" x 7" frame contains a swatch of a Game-Used uniform worn by Joe Panik. The frame contains no cover to allow for touching of the jersey. Each swatch has been authenticated through the MLB Authentication Program and contains a hologram sticker with a unique code which will verify when the jersey was worn.